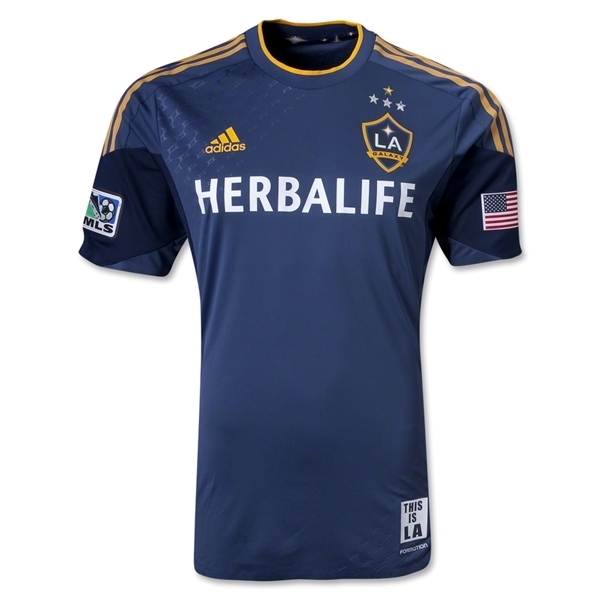 This should be the final addition to my 2013 MLS jersey rankings. 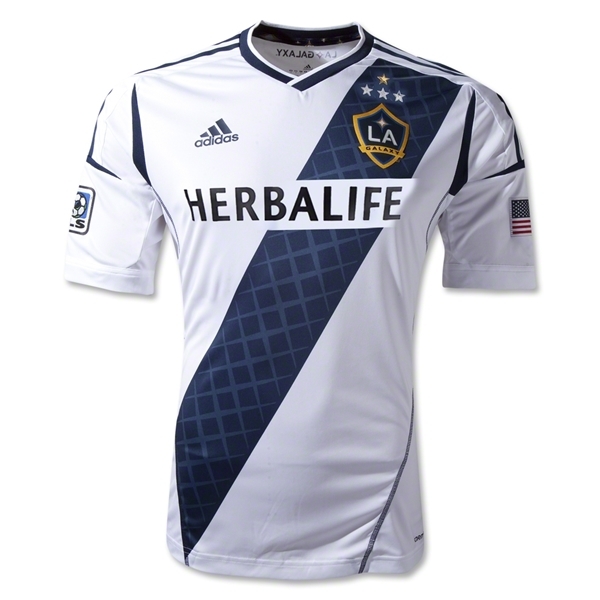 On Saturday, the Los Angeles Galaxy unveiled its new third kit. The internet's reaction has been very polarized. What do you think? I guess they weren't allowed to smile for the photo shoot. 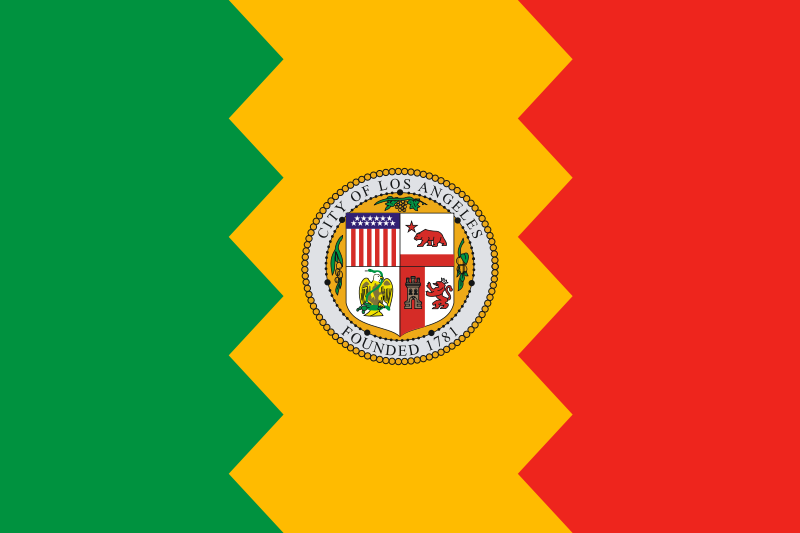 Detractors are saying it's a super ugly, clown-like color scheme. I absolutely love it. For a team with such a traditional color set otherwise, it's a nice way to jazz things up. Yes, it's a bit gaudy, but it's a third jersey. Third jerseys are meant to be experimental and weird. The homage is much more faithful than Sporting KC's new "retro" third jersey. Fashion is cyclical--are we reaching the point where over-the-top '90s designs are back in style? Liverpool, one of the biggest clubs in the world, recently unveiled an incredibly-'90s away kit as well. 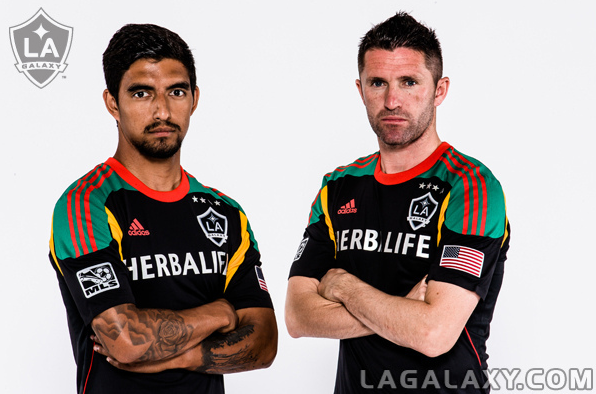 I guess they wanted to outdo their LA rivals Chivas USA, who use the city crest on their new away jersey. 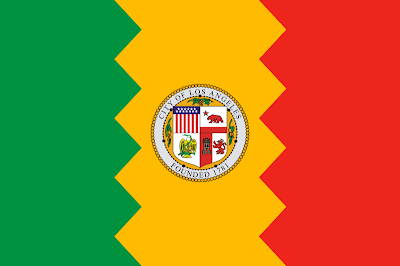 If more MLS teams incorporated their city and state/provincial flags into their uniforms, I'd be a satisfied man. 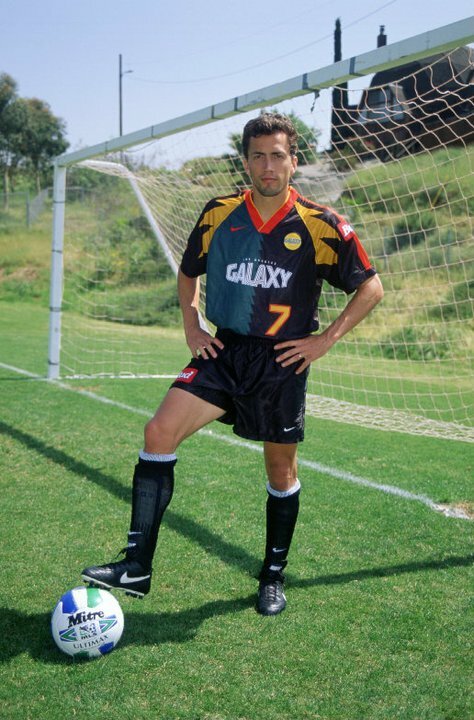 Much like Sporting KC's new uniform, I like this new Galaxy kit so much I wish it would replace the comparatively boring (but still well-designed) LA away jersey.